Free tampons and pads are coming to New York City's public schools, prisons and homeless shelters. The city will be the first in the US to introduce such a programme. Why are city authorities doing this, how will it work and how much will it cost? New York City council voted unanimously on Tuesday for a series of measures to provide menstrual hygiene products free of charge in public schools, prisons and homeless shelters. The bills are not yet law as Mayor Bill de Blasio needs to enact them, but he is a supporter, he says, "because tampons and pads aren't luxuries - they're necessities". The measures were sponsored and promoted by city councillor Julissa Ferrares-Copeland, who says "periods have been stigmatised for too long". She said she was happy to be known as the "period legislator". Supporters of so-called menstrual equity say that the cost of tampons and pads is a burden on low-income women and girls. Not having access to enough products to manage menstrual bleeding effectively is "associated with both health and psycho-social issues, particularly among low-income women", according to NYC council. "Unlike toilet paper - which is freely available in public and school restrooms, funded by city budgets and viewed as essential to everyday health and sanitation - those living in poverty are left to access tampons and pads on their own," campaigner Jennifer Weiss-Wolf wrote. None of New York's city councillors voted against the measures. Commentators on Mayor Bill de Blasio's Facebook post announcing the move were mostly positive, saying the measures were "fantastic" and would help women. "I know what it's like to be a young girl and not have the monthly essentials, it's embarrassing and degrading and I missed school because of it," wrote one woman. That said, there were some dissenters. One poster wrote that it was "insanity" for tax dollars to go towards this. "Mayor don't worry about free pads, instead fix them roads," wrote another commentator. How will this work in schools? 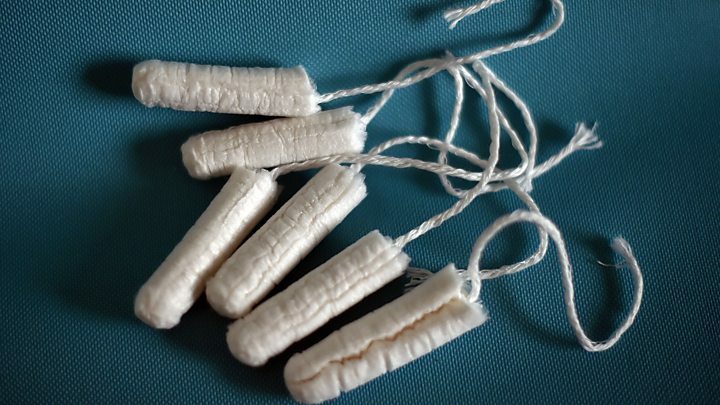 The bill on school provision requires feminine hygiene products to be provided at no cost to students in the toilets of public schools which serve female pupils in sixth to 12th grade (aged approximately 11 to 18). "A young girl should not have to tell her teacher, to then tell her counsellor, to then be sent to the nurse's office, to then be given a pad to then go back to the bathroom while a boy is already taking his exam in his classroom," said Ms Ferrares-Copeland. The scheme was trialled in 25 schools in the city, in which dispensers were installed in school toilets. According to a New York Magazine report on the scheme, dispensers will come with a timer mechanism so people cannot just press the lever again and again and empty out all the supplies. The new law requires the city's department of corrections to provide all female inmates with feminine hygiene products as soon as practicable upon request. While it is reportedly already common practice for NYC prisons to provide inmates with tampons and pads, in many jurisdictions, women prisoners have to buy them with their own money. Restricted access to sanitary protection can lead to the products being bartered on the prison black market, as dramatised in Netflix's Orange is the New Black. Former Connecticut inmate Chandra Bozelko wrote about having her period in prison for the Guardian. She explains that the supplies provided worked out as about 10 pads per woman per month (note to those who don't menstruate - that is unlikely to be enough). 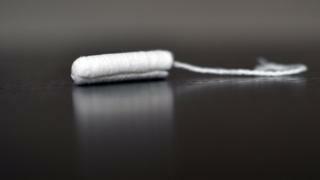 Media captionHow much do women pay in "tampon tax"? The issue of sales tax or VAT on feminine hygiene products is separate, and not under New York City's control. At the state level, New York senators recently voted to get rid of sales tax on pads and tampons so New York is set to join five other US states which do not tax sanitary products as luxury items (there are five other states which do not levy sales tax at all).